The hub and I booked our China trip prior to knowing about my pregnancy. 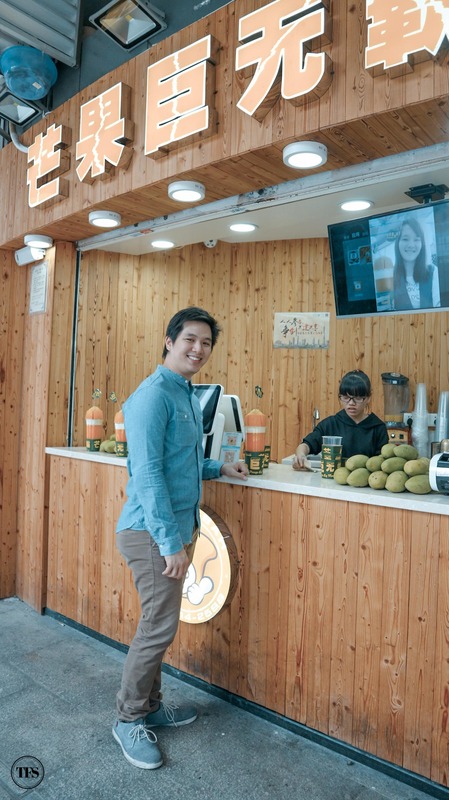 About 3 months before, we scheduled our trip to Guangzhou, China to attend a trade fair. I was quite nervous about flying out of the country on my 8th week of pregnancy. From the forums and articles I read, first trimester is the most crucial part of the pregnancy and the risk of miscarriage is the highest. I was really anxious about flying out of the country because I didn’t want to make a single wrong move. From asking mommy friends to reading non-stop, I had to make sure my choice won’t do me any harm. “Travel while you still can.”, one of the common advices I received. Some moms shared how I should value the time with the hub while we’re only two. Besides, it will never be the same when the third wheel comes along. Life will be so much different. To verify and assure me that flying to China is completely safe for me and the baby, I sought my doctor’s advise. Without hesitations, she gave me her go signal and a medical certificate. For our first three days in Guangzhou, O and I practically spent most of our time at the trade fair. I had to be extra cautious with what I feel because of my first trimester pregnancy. Have you been to SMX Convention Center in Mall of Asia? The complex in China is about 10x or more. One day is not enough for us to explore. We really needed three full days to maximize our time. So imagine the pregnant me, walking and walking the entire time. Short breaks in between were not only for me, but also for O who got tired of walking as well. Thank God He sustained me all throughout and I didn’t feel a single discomfort. Our China trip was not purely about business. The best thing about being business partners with your spouse is you get to mix work and play. After spending three days at the trade fair, O and I allotted our remaining days in Guangzhou exploring the city. The hub knows what will make his wife happy, food and shopping! Haha! Hence, we first went to the other busy side of Guangzhou, their shopping district Beijing Road Shopping Area. 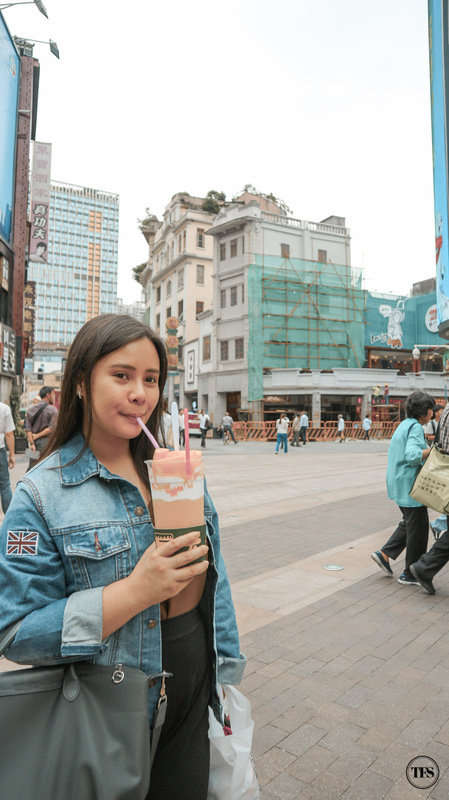 If you search on Google where to shop in Guangzhou, most of the results will lead you to this pedestrian street loaded with retail stores, restaurants and snack stations. 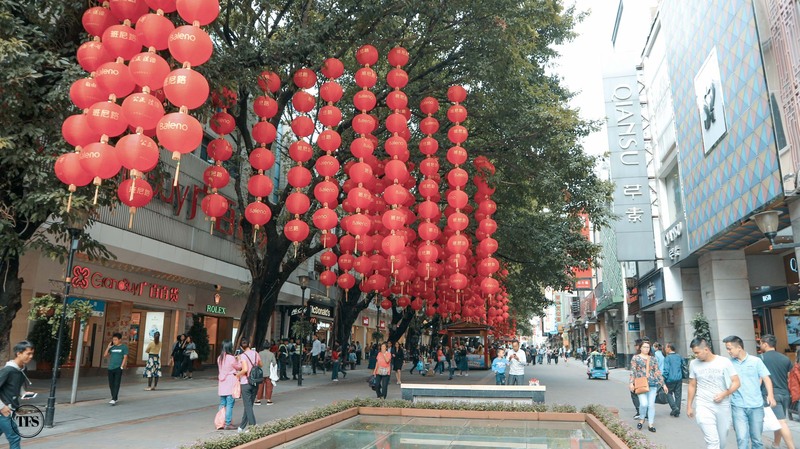 The structure of the shopping area is modern with a mix of Guangzhou history as the center glass shows an archaeological background of the road. This is also where you can buy your souvenirs to take home. As always, we didn’t have an exact agenda on where to eat. I didn’t want to make it a stressful day for both of us insisting on what I want and where to eat. To make the day enjoyable for both of us, spontaneity took over us. We walked and searched manually where locals would dine in. Guangzhou isn’t a touristy city. Most of the people exploring the shopping district were probably foreign guests from the trade fair like us and the rest, locals from different cities. Brunch time hit and both our bellies were knocking and begging for food. 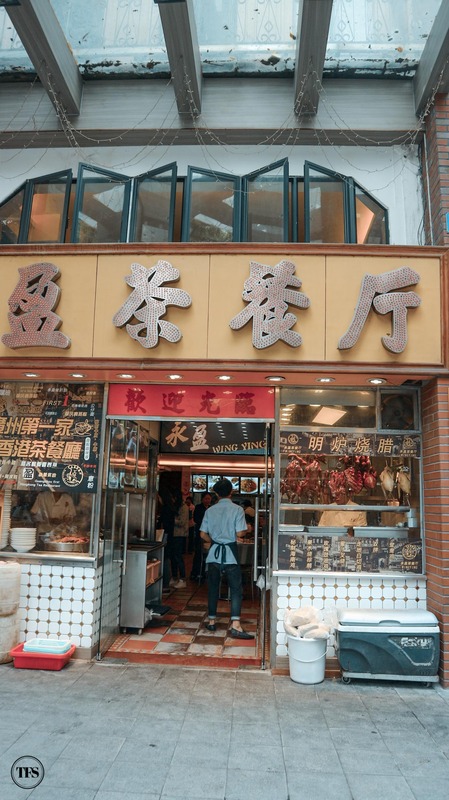 There were many options around the area but we opted for what looked locally Chinese to us. 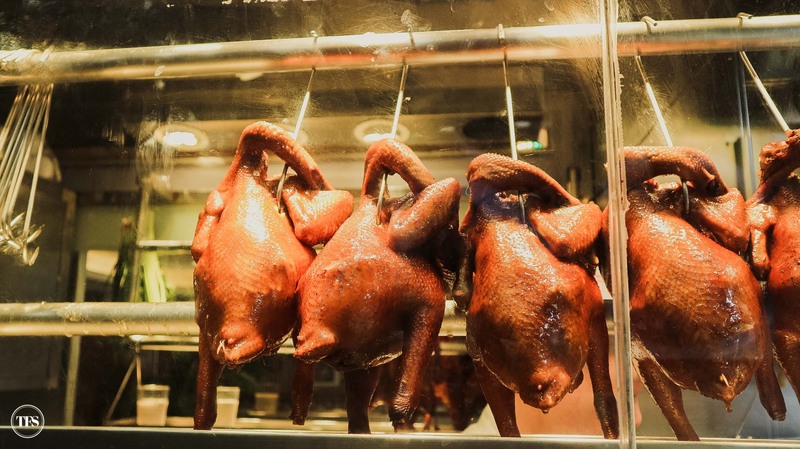 The roasted meat hanging by the window caught our attention and led our feet towards the restaurant without hesitation. 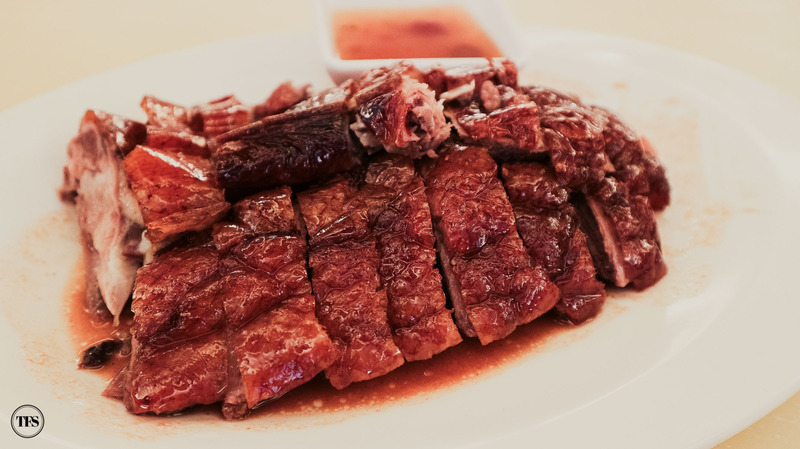 Roasted Goose with plum sauce and rice gets the job done! 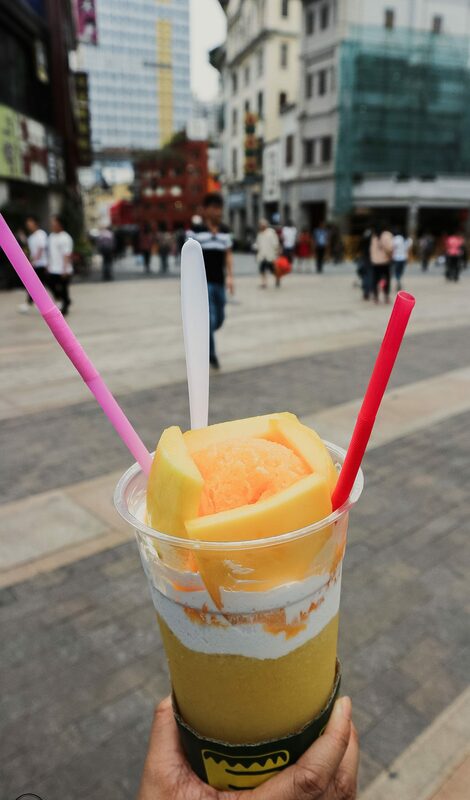 After our carnivorous lunch, one lady passed by in front of us holding a tall plastic cup with mangoes and shaved ice. O knew exactly what I needed at that time, dessert! 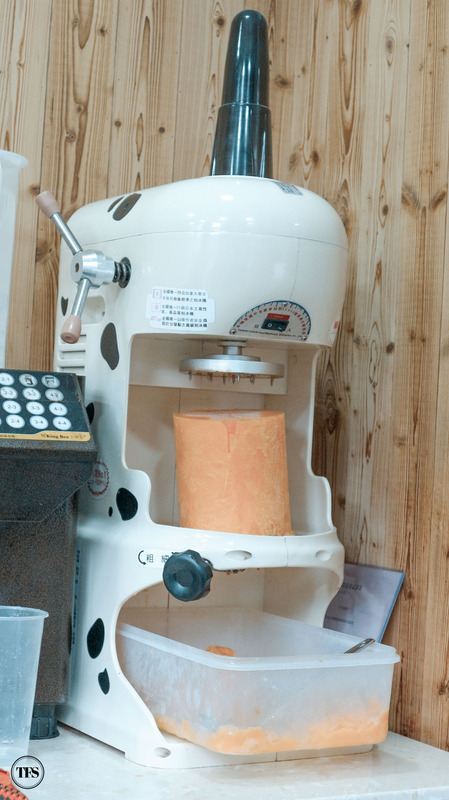 We followed the trail where she came from and found the stall that sells the Mango Shaved Ice dessert. There are two ways to enjoy this. Drink like a fruit shake or scoop it out like ice cream. 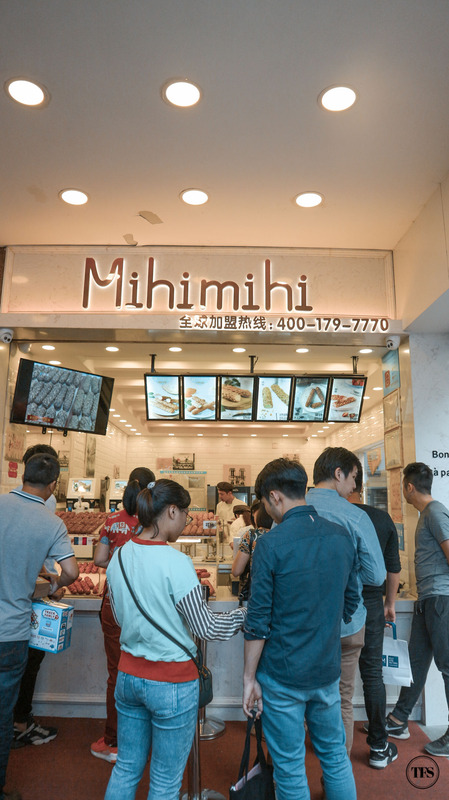 Mihimihi Pastry Shop was another stopover for us. 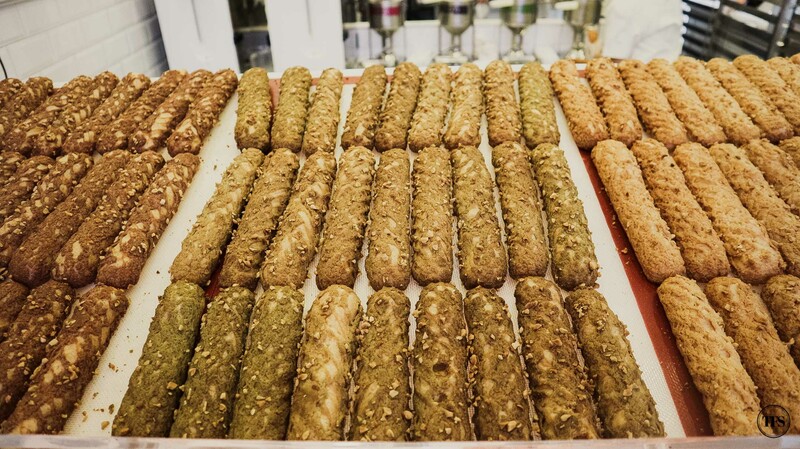 Tantalized by the smell of freshly baked crispy waffle with filling inside, we just had to get ourselves a piece. With different flavors offered, I chose to get the matcha flavor. Just because it’s matcha. You know how much I love matcha! 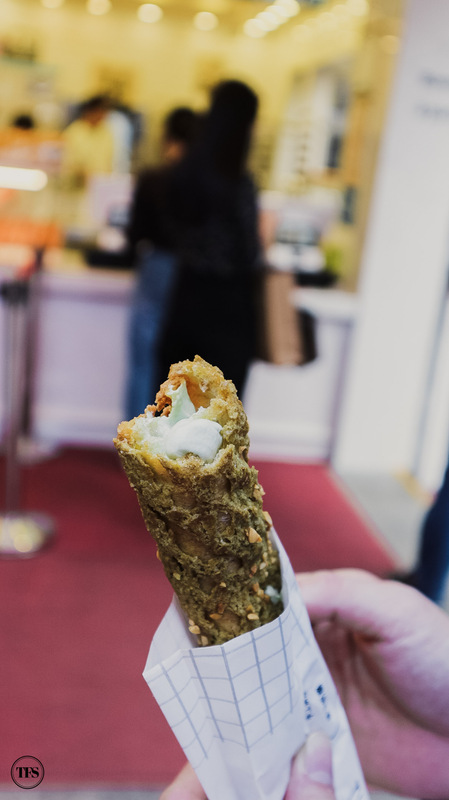 Crispy and tasty waffle with matcha cream filling inside! 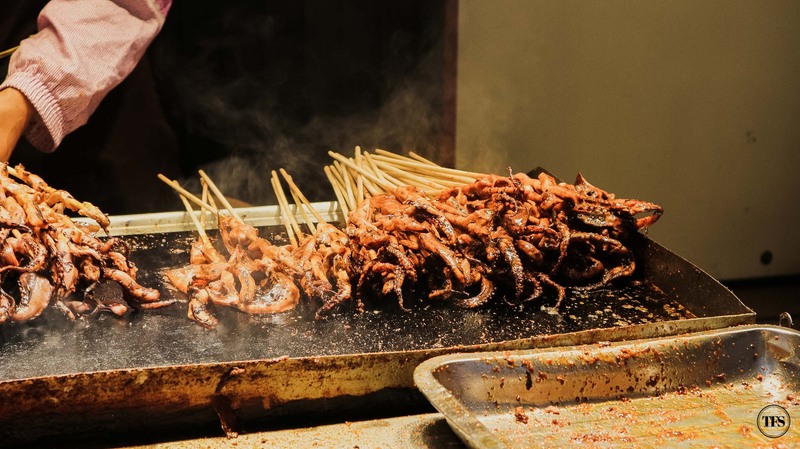 We couldn’t ignore the side streets with their one-of-a-kind enticing aroma of spiced seafood on stick. 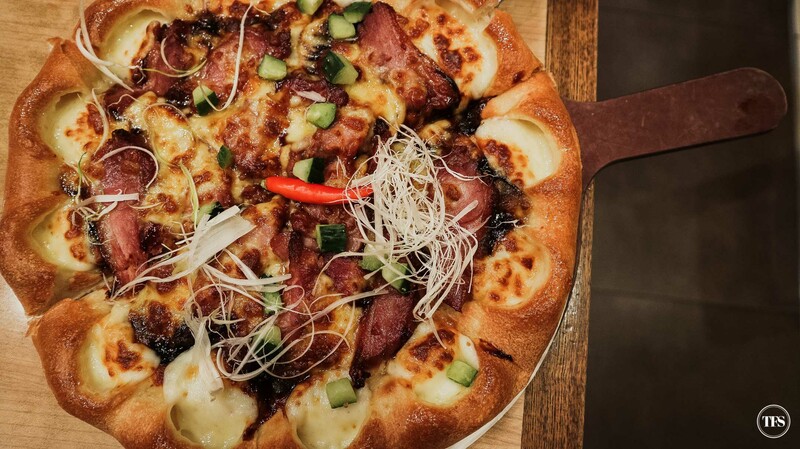 One of our favorite discoveries in Guangzhou, Roasted Goose Stuffed Crust Pizza from Pizza Hut!!! 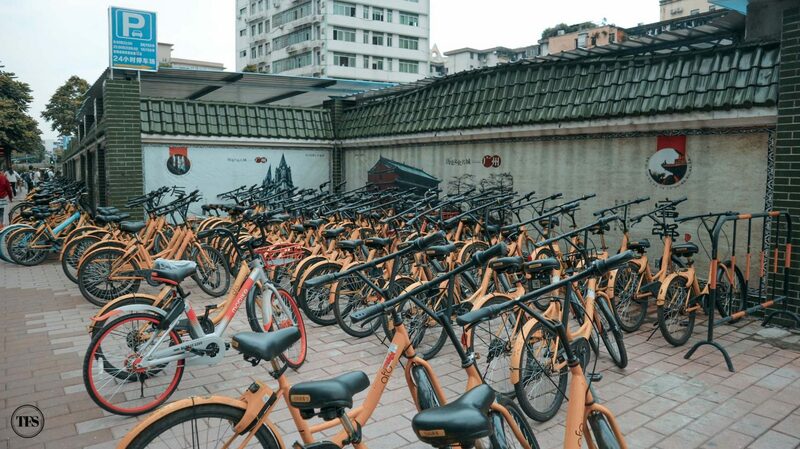 Guangzhou’s clean air allows most locals to bike around the city. If only I wasn’t pregnant, I would’ve tried to bike around to explore. Every end of the day, I thank God for keeping me healthy while I was in a foreign land. I didn’t have problems with walking around the trade fair and around the city. If I feel tired, I tell my hub and we stop and rest for a while. I enjoyed roaming around with him without abusing my body just because I felt energetic and healthy. I’m not saying that my first trimester was easy. I also had my share of discomforts, thankfully not when I was in China, only when I was in Manila. Travelling while pregnant could be risky and not for all women. So if you are planning to travel while you’re pregnant, it’s best to consult your doctor first and be honest with your condition. What do you think of this side of Guangzhou, China?